The Google Drive works in a slightly different way than the other services. In addition to your local files, the Google drive will also give you access to the files that are shared from your friends. Nonetheless, the Rainbow application will show these files, and you will be able to transfer them. 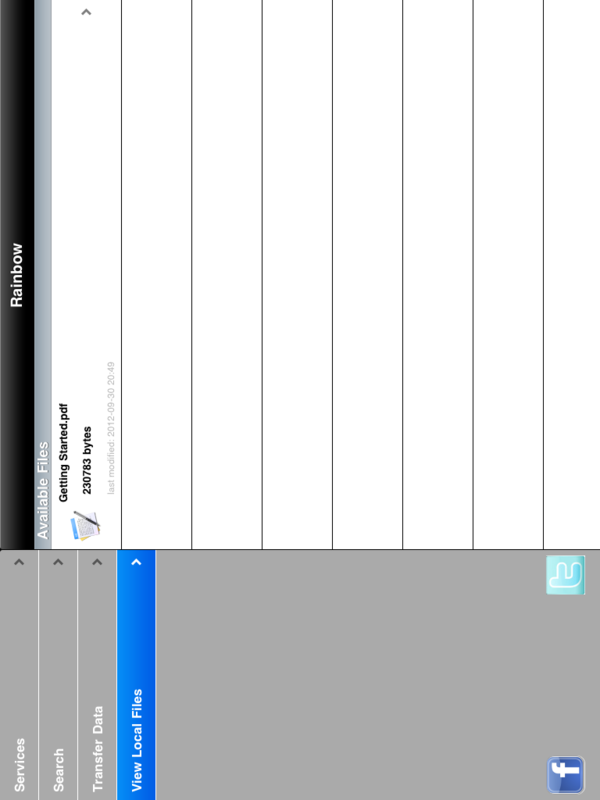 These files have a zero size when they are displayed on the Rainbow application. When you transfer a file to the Google Drive it is automatically saved in the master folder. The master folder is the very first folder that you see when you open your Google Drive account. You can certainly copy (you can not move) a file to any folder that is located inside the master folder, but what you are actually doing is to create a link of that file in the selected folder. Because of that you can not have two files with the same name saved in your Google Drive account, even though these files may be located in different folders. Finally, the Rainbow application will not allow to transfer files from one folder to another folder on the Google Drive. 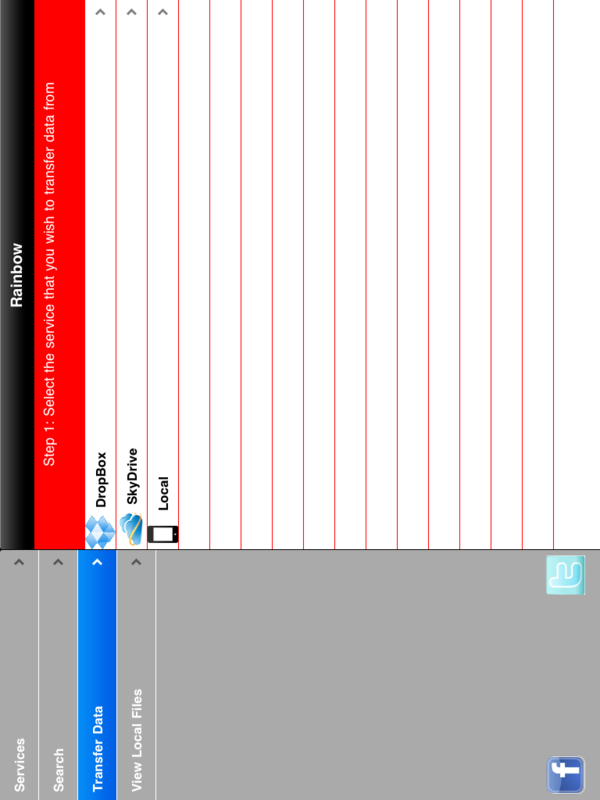 This is what the Rainbow application looks like on an iPad. Version 1.3. is running only in landscape mode. The left list is your navigation panel, its role is exactly the same with the tabbar that you find on an iPhone. 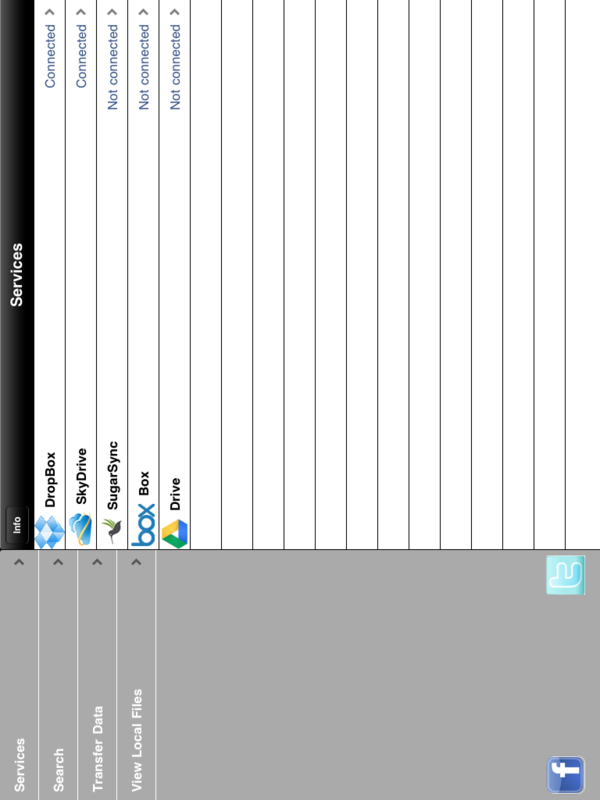 Thus, this list helps us to connect (or disconnect) to a cloud service, search the cloud service we are currently connected to, transfer file, and view the local files. Here we start the process to transfer files. One file is saved on the local storage. 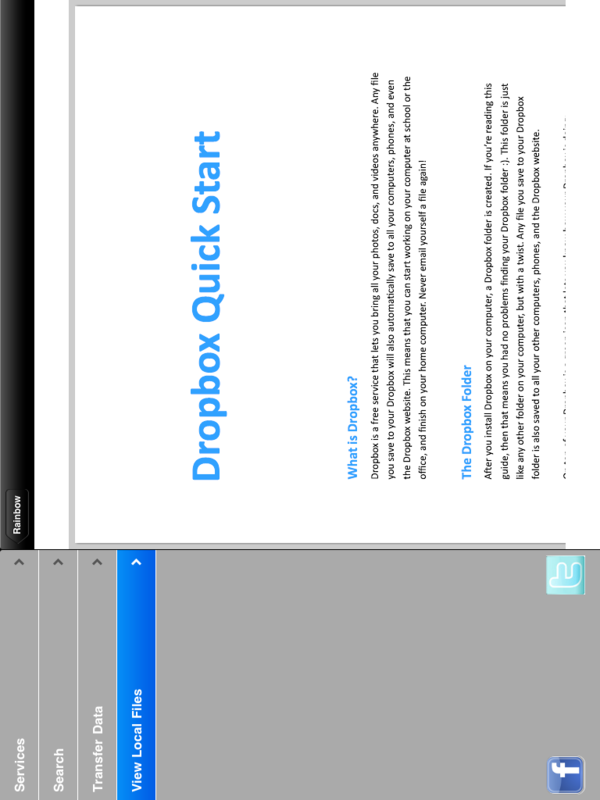 If this file is an image or a document (doc, txt, pdf) then by clicking on it we can see it.